The FCAA provides a number of grants and scholarships each year to qualifying Fordham College at Rose Hill students. Honoring the late Father George McMahon, S.J, Dean of Fordham College (1962-1974), this annual $5,000 fellowship helps a student defray the cost of travel while conducting an independent study or research project. Students who are members of the Fordham Club, United Student Government, the Fordham University Band, or members of the University’s intercollegiate sports teams are welcome to apply. The 2018 recipient was pre-med student Daniel Miklos, FCRH ’19. 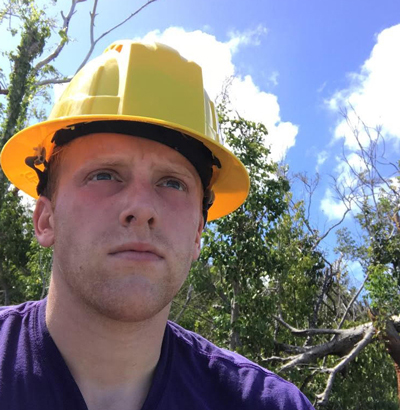 Dan, a Fordham soccer player, used his grant to volunteer for two weeks on the island of St. John in the U.S. Virgin Islands to help those who were devastated by last year’s major hurricanes. To make a donation, click the “Donate” button on the menu above, or see our address below. And, don’t forget to ask if your employer has a matching gift program. 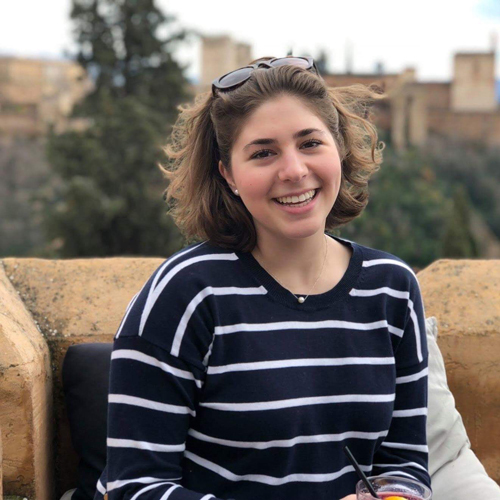 Kathryn Mandalakis, FCRH ’19, a Spanish major whose scholarship allowed her to study in Spain and to live with a Spanish family. 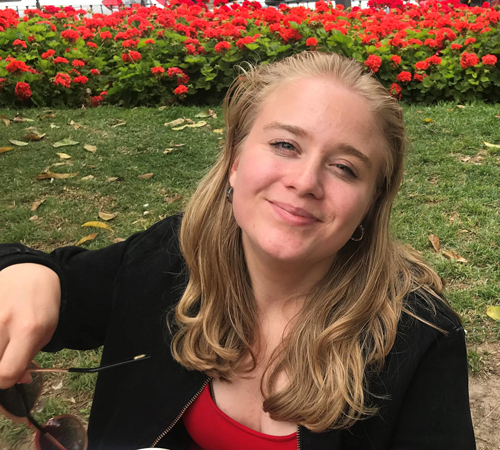 Anne Marie Ward, FCRH ’19, is majoring in Comparative Literature and English with a concentration in Creative Writing. This award is presented each year to the student who exemplifies the most promise in writing, reporting, and knowledge of First Amendment issues. It is made possible through proceeds from the book, Fordham University & the United States: A History, donated by its author and FCAA Board member, Debra Caruso Marrone, FCRH ‘81. 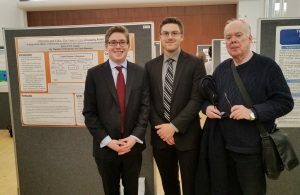 Ted Schoneman and Jack Brennan with their research mentor Professor William Baumgarth. The 2018 FCAA Encaenia chair was presented to Erin Eileen Shanahan by FCRH Dean Maura Mast and former FCAA President Paul Gerken. 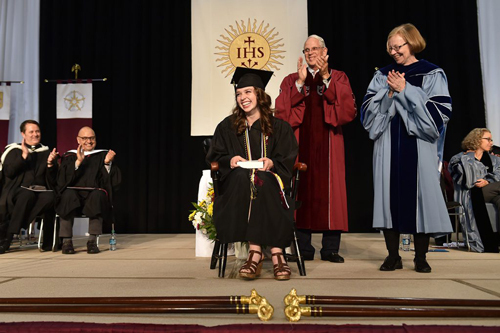 During the annual Fordham College at Rose Hill Encaenia ceremony, the FCAA presents a Fordham chair to a student who exemplifies the Fordham spirit of excellence in academic, service and extracurricular achievement.